On June 1 UVES began our 2018 Annual Appeal to the Town of Union Community seeking continued support of our programs. For the sixth year, UVES is conducting our appeal to help offset unique and continued challenges within the healthcare industry that would otherwise prevent consistent growth and delivery of our Mission to you, our Community! Your on-going support allows UVES to continue providing vital services to our Community which positively impacts our family, friends and neighbors each and every day. 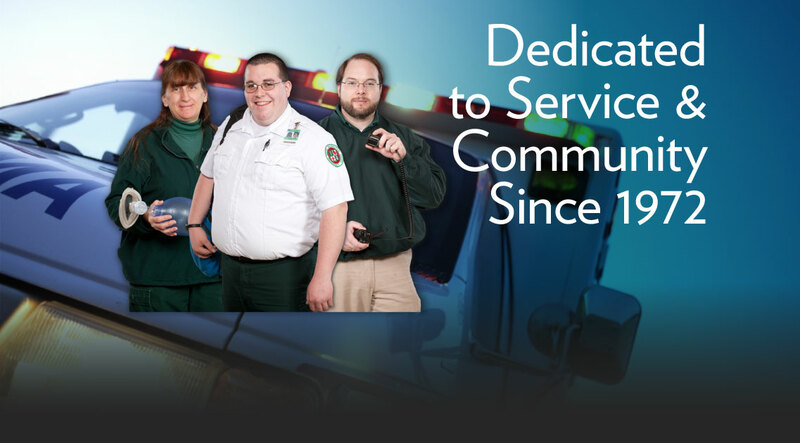 UVES takes great pride in our 45 years of service to the Town of Union Community and is working to improve the content of our site to share with you what we do, why we do it and how our success impacts the overall health and well-being of the Town of Union Community. Check out our corporate Values and you will find basic philosophies that are inherent of all our members. These values, shared amongst our members, are representative of what we do each and every day as we work towards our Vision. Become a community life saving partner and register for one of our many CPR classes. You do not need to be a "formal member" of our organization to be a hero. Check out our statistics and see how well we provide our services as a dedicated community based organization. See how our community rates our performance in the eyes of our customers, rating everything from their 9-1-1 call to the end billing experience. Provide your support to our Community and learn how a donation will be used locally to help offset the cost of our operations. Thank you for visiting our site, and should you have any questions, feel free to contact us!